A lot of people ask me how I fit in a hot breakfast in the morning and here's one of my secrets... A lot of the time I use recipes that you put together the night before and just slip into the oven in the mornings. So I'm not REALLY up at the crack of dawn, mixing and baking and being all "Martha Stewart". Here's one of our favorites for special mornings. Butter a 13 x 9-inch baking pan. Place bread cubes in baking pan. Add bacon and spinach. Top with cheese. Whisk together eggs, half-and-half, salt and dried mustard. Pour over bread mixture, covering thoroughly. Cover with plastic wrap and refrigerate overnight. Preheat oven to 350 degrees. Remove plastic wrap and bake for 35-45 minutes or until set and brown on top. 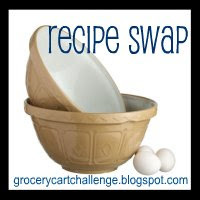 Do you have a recipe you'd like to share? 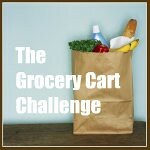 Please link directly to your post, not your homepage and please include a link back to The Grocery Cart Challenge. Martha Stewart would love this, no doubt. Spinach for breakfast? Why not! Have a good weekend! I've done variations on this many times. The basic mix lend wonderful versitility for what you have on hand. Fresh spinach is great too. One hint, if made in a glass dish, do not put it straight from the refer to the oven. Put the dish in the cold oven to warm gradually with preheating or allow it to warm on the counter first. Avoid a very messy potential situation! 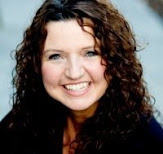 Thanks for your great contribution to the blog world. I've tried a couple different variations of the "egg bake". My favorite is Egg and Ham Casserole. It uses crackers instead of bread. We like Swedish pancakes for breakfast or dinner. These work great to store in the refrigerator in the blender carafe, so you can re-blend and cook quickly. A great morning muffin recipe that we recently tried was Sugar Donut Muffins. These are yummy!